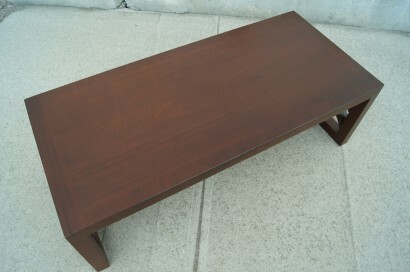 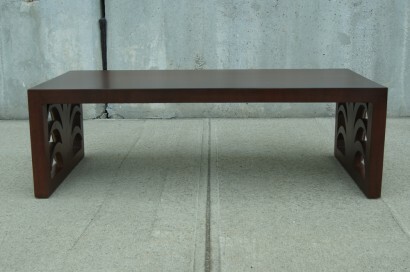 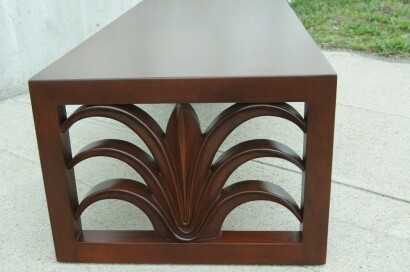 This coffee table by T.H. 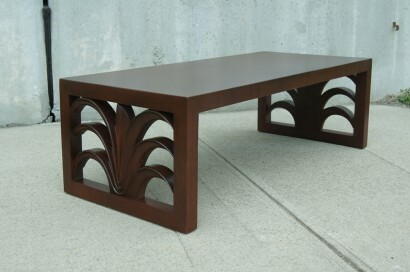 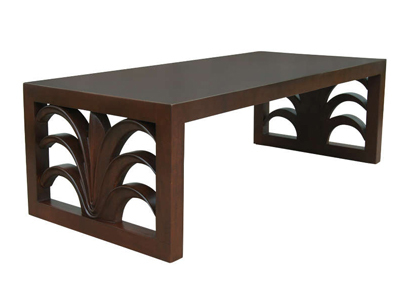 Robsjohn-Gibbings features sculptural plumed sides and has been expertly refinished. 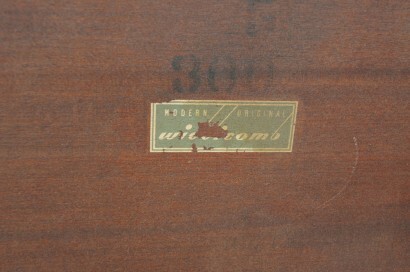 Original tag on underside of table.